There are now so many people taking digital photos of birds that whatever photo you take someone somewhere has got a better photo. You have now got to create your own challenge and keep at it until you have a decent shot. 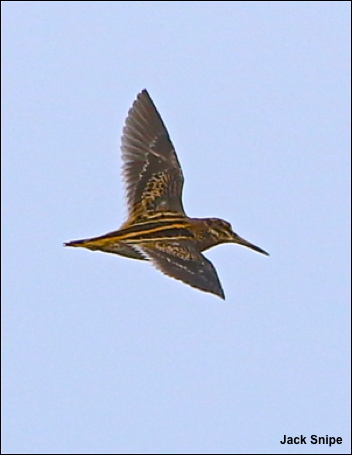 To find a Jack Snipe is never easy but to photograph one in flight – impossible? Well, as far as I know no one has achieved it so I have been working on this challenge and finally this weeks image is a starting point. It is still very much a work in progress.